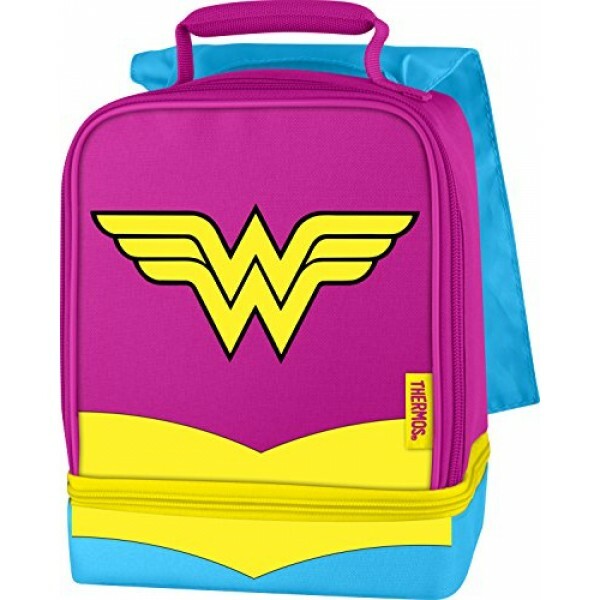 Superheroes need to fuel up with a healthy lunch, and this lunch kit from Thermos will make sure she can! This dual compartment lunch kit is insulated and 100% PVC free, with detailed and durable screen-printed graphics. Two compartments allow you organize lunch items and protect fragile items from getting squashed. It even features a cape for a little extra heroic flair! 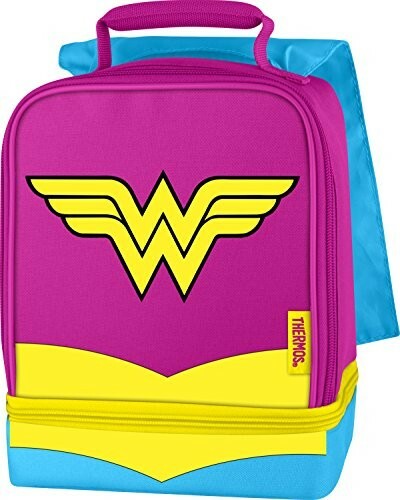 For more products featuring this iconic superhero, visit our Wonder Woman Collection.